The Vin Du Select Qualitite imprint has a narrow, precise remit: limited-run, lovingly crafted vinyl-only releases of instrumental guitar music, predominantly the aptly named Solo Acoustic series, which has featured Glenn Jones, Richard Bishop and Thurston Moore. While the label’s back catalog ably illustrates the expanding umbrella of American Primitivism, its three most recent, simultaneous releases—from two label veterans and another (Bay Area picker Chuck Johnson) who fits right in—point in three yet further directions. Massachusetts’ Anthony Pasquarosa’s third VDSQ outing takes the form of an imaginary spaghetti-Western soundtrack, although beyond the track titles and somewhat silly sound effects (hooves, gunshots, etc. ), the conceit is less an overt stylistic paradigm than a vague, evocative flavor palette for these dusty rustlings and spacious ambles performed on an array of guitars, banjo and some incongruously grating organ. 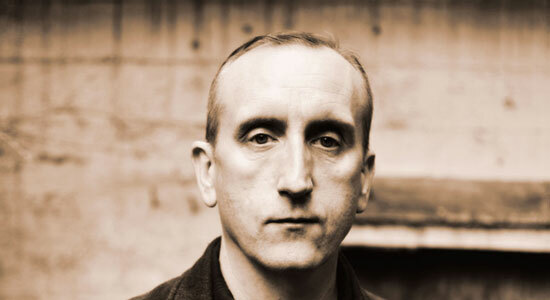 The ever-intriguing Mark McGuire, who contributed the label’s second release back when he was still a member of Emeralds, offers a similarly diverse set surveying his many intimate, inimitable musical modes: first a series of delicate, deftly layered acoustic miniatures, the loosest incorporating one of his distinctive slice-of-life field recordings, then an abrupt gear-change to his more familiar gossamer, delay-drenched electric shimmerings before closing with some fuzzy, meandering drones. But it’s the polymathic Johnson who adopts the most surprising, compelling and also simplest approach of the three: Balsams is a gorgeously gauzy, glacially paced piece of contemporary ambient/new age, with serene washes of electroacoustic warmth surrounding his patient, contemplative pedal-steel playing (à la Daniel Lanois or Date Palms) and making you wonder why that instrument isn’t used for this kind of thing more often.